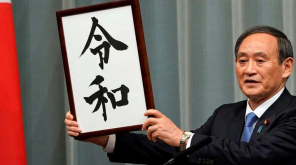 New Japanese Era Reiwa : The new Japanese imperial era has announced finally - Reiwa. Rei represents good fortune and Wa translates to peace or harmony. It comes within one month(May 1) with a new emperor ascends the Chrysanthemum Throne in the world’s oldest and also continuous monarchy. 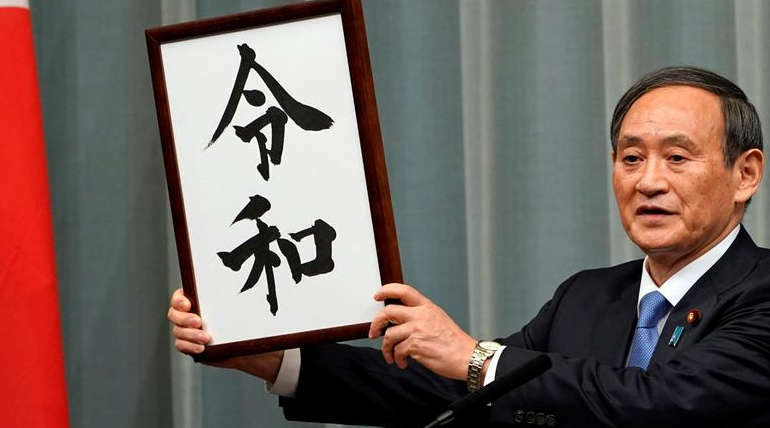 The chief cabinet secretary Yoshihide Suga announced 1st April, 2019 that the new Imperial era will be a named as Reiwa, initiating the nation's first imperial succession. Yoshihide Suga displayed a card which has written in Kanji (Japanese Character) for the coming era. The name was choose based on the ancient poem Manyoshu. This is the first time the name chosen from a Japanese classical literature. Before that they use names from Chinese literature. The new crown prince Naruhito ascends the throne (Chrysanthemum Throne) following his father Emperor Akihito, a day earlier. The arrival of the new era will start on May 1st makes a end to 30 year run of previous Heisei (that means achieving peace) which started in January 8th, 1989. Prime minister Shinzo Abe told in a news conference that the Japanese Government choose Reiwa as they meant "a culture is born and nurtured by people coming together beautifully". He said,"I hope the new gengo will take root among the public and be widely accepted by the people,".